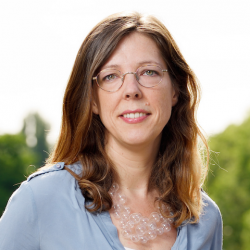 As of February 1st, Sarah de Rijcke has been appointed as Professor of Science, Technology and Innovation Studies, especially Science and Evaluation Studies, at Leiden University. The chair is located at the Centre for Science and Technology Studies (CWTS). Since obtaining her PhD in 2010, De Rijcke has developed a strong international reputation in the field of Science, Technology and Innovation Studies. She also has an international public presence with outreach activities in science policy, speaking frequently on the topic of research evaluation and metrics uses. As a professor of Science and Evaluation Studies at CWTS, De Rijcke will analyze the workings of evaluations in connection with contemporary forms of governance of research. She will also further develop the new ‘evaluative inquiry’ approach: a content-oriented, mixed-method approach to valuing science and scholarship that reconnects evaluations with the primary process of knowledge production. De Rijcke’s chair will play a crucial role in realizing an internationally unique synergy between quantitative and qualitative research. This is not only an important development for the field of Science, Technology and Innovation Studies, but also the main ambition for the new research program at CWTS. De Rijcke received her PhD (with honors) from the University of Groningen in 2010. After a postdoc period at the Virtual Knowledge Studio in Amsterdam, she established her own research group at CWTS in 2012. De Rijcke held a number of visiting professorships. Most recently, she was the Anna Boyksen Fellow at the TU Munich Institute for Advanced Study (TUM-IAS) & the Munich Centre for Technology in Society (MCTS). Together with her co-authors, De Rijcke won the 2016 EASST ZIMAN award for the Leiden Manifesto for Research Metrics. In 2017, she received a competitive grant from ZonMw in their program on Fostering Responsible Research Practices. In November 2017, De Rijcke received a Special Recognition Award from the World Cultural Council for combining excellent research with public engagement. De Rijcke is an elected member of the Young Academy of Europe (YAE), and an elected Council member of the European Association for the Study of Science and Technology (EASST).